If the state courts repeal a rule that has been in place for more than a decade, many Pennsylvanians may lose their doctors, face higher health care costs or have to drive farther to receive the care they need. More than 10 years ago, Pennsylvania was facing a health care crisis. Trial lawyers were targeting doctors with junk lawsuits. This drove up the cost of practicing medicine in the Commonwealth and, as a result, many doctors left Pennsylvania and set up their practices in other states. Patients were left with lower-quality care and fewer options. The state addressed the situation in part by implementing a commonsense rule. That rule currently requires medical malpractice cases to be filed in the county where the alleged incident occurred. Prior to the enactment of this rule, trial lawyers engaged in the process known as “venue shopping,” where they would file lawsuits in counties with reputations for ruling against doctors. This one commonsense reform ensured cases are heard in the counties where they occurred, rather than in a courtroom with a history of favorable decisions for the trial lawyers. The courts now are thinking about removing that rule and enabling trial lawyers once more to use the legal system to extract money from Pennsylvania doctors. This week, the House Majority Policy Committee hosted a forum to examine the issue and hear from numerous stakeholders about the negative impact this rule repeal could cause. To learn more about the issue, click here. 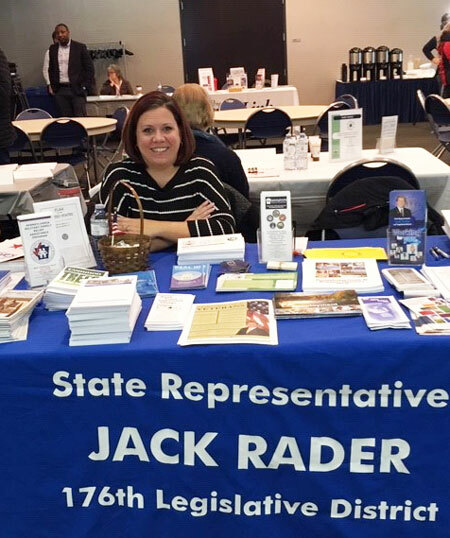 My staff attended the veterans job fair this week at Northampton Community College’s Monroe Campus to provide information about state programs and services tailored to meet the unique needs of those who served in our Armed Forces. Legislation to amend the Pennsylvania Constitution to add a victims’ bill of rights was reintroduced this week in a step toward putting the question before voters.